Many of you will be in anticipation for the Fifty Shades of Grey movie release coming out on the 14th of February, and unsurprisingly there is a nail polish collaboration. I cannot lie I am not interested in the film, I haven’t read the books, but I am very excited about these OPI Fifty Shades Of Grey nail varnishes! OPI are one of my favourite nail varnish brands, their quality is always spot on and they last such a long time so I can’t wait to get my hands on these new shades. The OPI Fifty Shades of Grey collection consists of six different colours – 3 grey varnishes, 1 silver foil, 1 silver glitter and 1 very sultry, deep, dark red. I remember the excitement between myself and my friends when Barry M released their first grey polish many years ago and ever since then I have been abig fan of wearing grey varnish. The shades in this set have some brilliant, but not ridiculous, names for the Fifty Shades of Grey theme – My Silk Tie, Shine For Me, Cement The Deal, Embrace The Grey, Dark Side Of The Mood and Romantically Involved. Cement The Deal is the polish from the collection I am most excited about trying. It is the lightest grey from the set and looks to have a very beautiful slight cool blue undertone. The OPI Fifty Shades of Grey Nail Lacquers were released on the 7th January 2015 so are available now and are £11.95 each or the entire six are available as a mini collection. 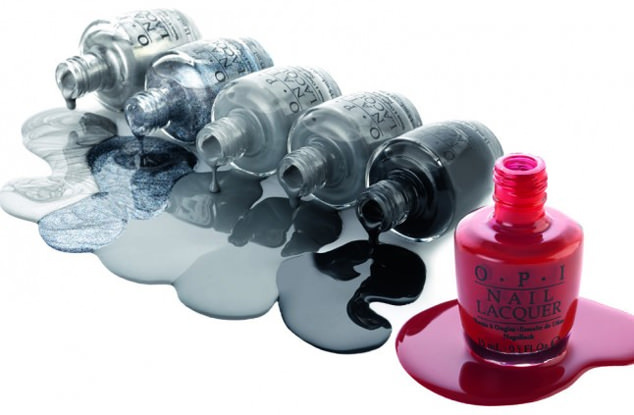 Are you excited about the OPI Fifty Shades of Grey Limited Release collection? Have you tried them out yet, which shade was your favourite?